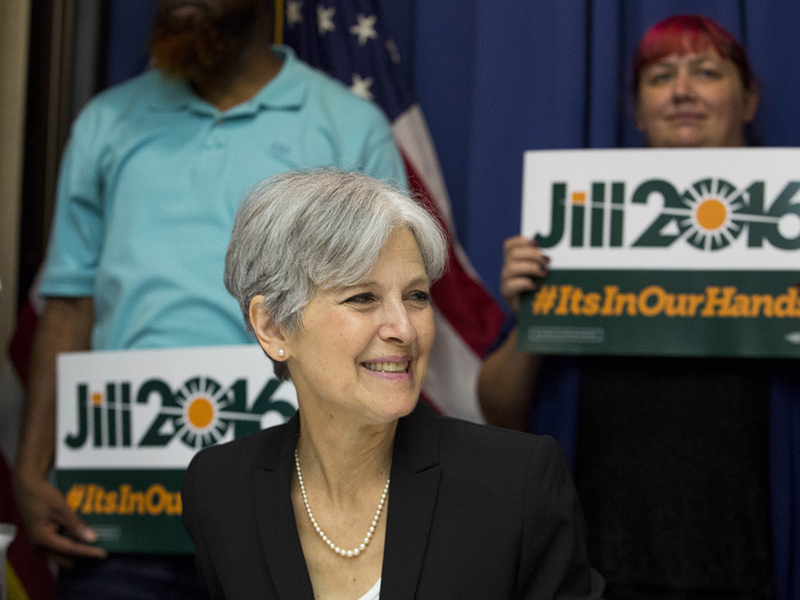 Jill Stein, courtesy of Getty. It’s been almost a month since the United States presidential election but recent recount efforts indicate that the race is far from over. Last week brought yet another twist in what has proved to be one of the most bizarre elections in US history. Calls for a recount come amid fears of hacking. Although there is no concrete evidence as-of-yet that this was the case with the election previous incidents have given some reason to believe that a breach in computer security could be involved. Supporters of the recount point to cases of the Democratic National Committee and the email account of Clinton chairman, John Podesta. Earlier this year, both were proven to have been accessed by Russian – backed hackers, although this has been vehemently denied by Vladimir Putin. Electoral map, courtesy of NPR.org. A voting booth in Wisconsin. Image courtesy of Getty/Darren Hauck. While Elias’ statement has made it apparent that Clinton’s role in the recount is that of obligatory participant, not enthused instigator, that didn’t stop president-elect Trump from attacking the former Secretary-of-State in a barrage of tweets where he attempted to disparage Clinton by quoting various instances from the last debate and from her concession speech. The hypocrisy of a person who so recently stated that in the face of election defeat he would possibly not concede wasn’t lost on many. Elias summed up the ironic situation best on November 27th, tweeting “We are getting attacked for participating in a recount that we didn’t ask for by the man who won election but thinks there was massive fraud.” On the same day Trump ignited fury from all sides with an inflammatory afternoon Twitter session in which he made claims that Clinton’s popular vote victory was due to unlawful voting. As of November 25th, Stein and “Rocky” De La Fuente, another Independent candidate, officially filed petitions for a recount in Wisconsin along with a $3,499,689 wire transfer to cover costs. The official recount is slated to begin on December 1st although the process has been mired in further controversy as a judge has recently denied Stein’s request for a hand recount. Stein has claimed she will pursue legal action over the decision but meanwhile she has filed recount requests in Pennsylvania and Michigan. On Monday, November 28th, the latter state officially was claimed as a Trump victory, which means the president-elect gained an additional sixteen electoral votes which may now be in question as the recount wages on. According to federal law, recounts must be completed thirty-five days after the presidential election. However the December 13th deadline still does not spell an end to the election as the Electoral College does not meet to cast their official votes until December 19th. Political experts from across the spectrum agree that the chance of a recount leading to an election upset is extremely unlikely as is the chance that the results could be swayed by “faithless electors” voting opposite of their state’s outcome, a hopeful scenario that has been pushed in numerous petitions, signed by millions. At this point Democrats, Republicans, and Independents are all wondering the same thing – will this election ever end?